La Paloma Beach and Tennis Club Resort is well known for its excellent mild climate all year long and absolutely perfect location. Situated far away from the bustle of the Rosarito Beach downtown yet only ten minutes away with a walk along the beach! 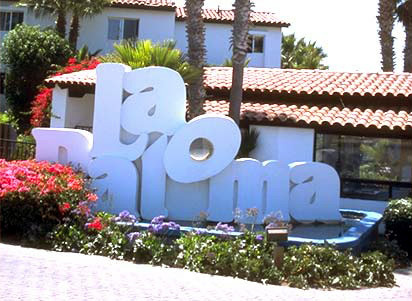 La Paloma is a world into itself full of calm and peace. Busy people often escape here, preferring us to the high-rise hotels that are found all over. However, if you wish to venture outside La Paloma, you will find an incredible amount of things to do. Things to Do Right On the Beach in the Baja! Explore the Undersea World By Diving! Playing Volleyball on the Sand! Jogging Along the Lapping Waves! Sport Fishing on the Open Ocean for the Day! Savor a Good Book as You Get a Tan! Watch a Mexican Sunset from the end of the Rosarito Beach’s Pier! Bargain Shopping and Get Goods for a Fraction of US Prices! Try a shot of Rattlesnake Tequila at the Official Tequila Museum/Bar! Explore the Historic Rosarito Beach Hotel! Hot Springs Hidden Out in the Wild! Check Out Several Surfers’ Paradises Nearby With Lots of Action! Baja Mar Golf & Resort is approx. 30 minutes South! Explore the Wine Country of Mexico further south near Ensenada! Visit Ensenada, where many cruise lines make one of their port of calls, and try their famous Fish Tacos! In addition to these incredible things to do anytime, there are also numerous large events happening in both Rosarito Beach and Ensenada all year long. You are strong encouraged to check the following few event calendars listed that are most well maintained out of many out there! 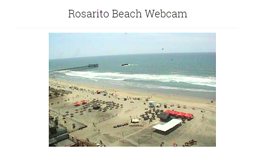 To check the local weather from CNN, please go to Rosarito Beach Weather!